Win a free 12 pack, mixed flavors, of Crossroads Kombucha! Instructions on how to enter in this episode. Winner will be chosen on February 19, 2018 and will be announced on the Thrive Tribe 419 podcast Instagram page. In this episode, Robert talks about how he's excited to begin thriving in his business in the 419, his former root beer addiction and how he kicked the habit, challenging gender norms as a work-at-home dad, balancing work and family, lessons learned living abroad, unexpected success, and what exactly "kombucha" is. 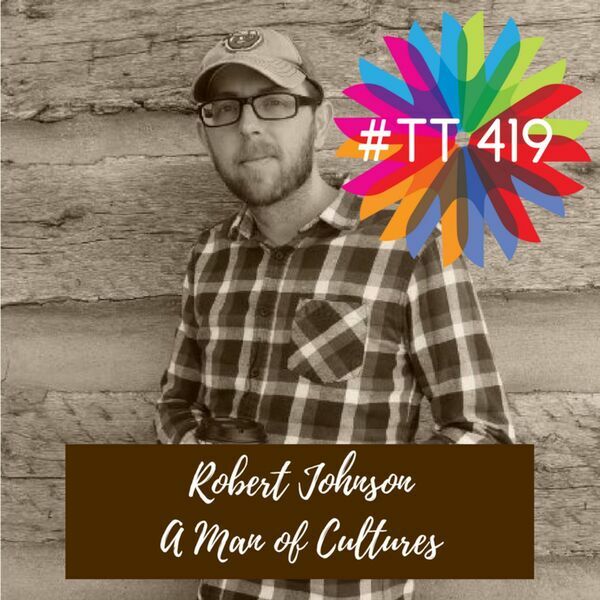 Robert Johnson is the founder of Crossroads Kombucha, author of Amazon bestselling books, and former English teacher in the Philippines and Thailand. He currently resides in Fort Wayne, Indiana with his wife and two children. Big thanks to this week's sponsor: Matt Hollo, M.Ed., LPCC, EFT-INT "The tapping guy"
All content © 2019 Thrive Tribe 419.